Chrystal Burns joined QuadReal as Senior Vice President, Retail West in February 2017, and is responsible for the performance of QuadReal’s retail properties in BC and Alberta. 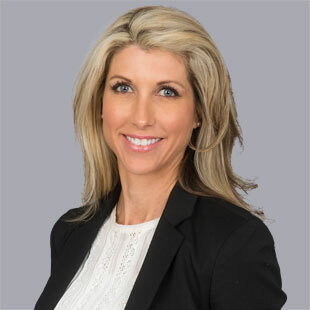 Prior to QuadReal, Chrystal worked at Bentall Kennedy in successive roles, most recently as the Retail Sector Lead responsible for the asset management of a $2 billion portfolio across Canada. Chrystal is a graduate of the University of Cape Town (BA), and the University of British Columbia (Urban Land), and holds a Chartered Financial Analyst (CFA) designation. She completed a joint MBA at Queen’s University and Cornell University in 2010. Chrystal is one of the Founders and the Past President of CREW Vancouver, and continues to serve the organization in various roles. Chrystal is excited by QuadReal’s entrepreneurialism and collaborative approach which positions the company well to seize new opportunities in the rapidly changing retail landscape.